Stuck on how to format citations for your paper? Look no further! Learn the basics of either MLA or APA styles here. Plagiarism may not seem like a big deal for one paper that you and your instructor will probably be the only people to ever read. But the reality is, plagiarism is theft; and however small-seeming the infraction, it is something that should be taken seriously. See the section on page 7 titled "Academic Integrity" for LSC-O's policy on plagiarism. 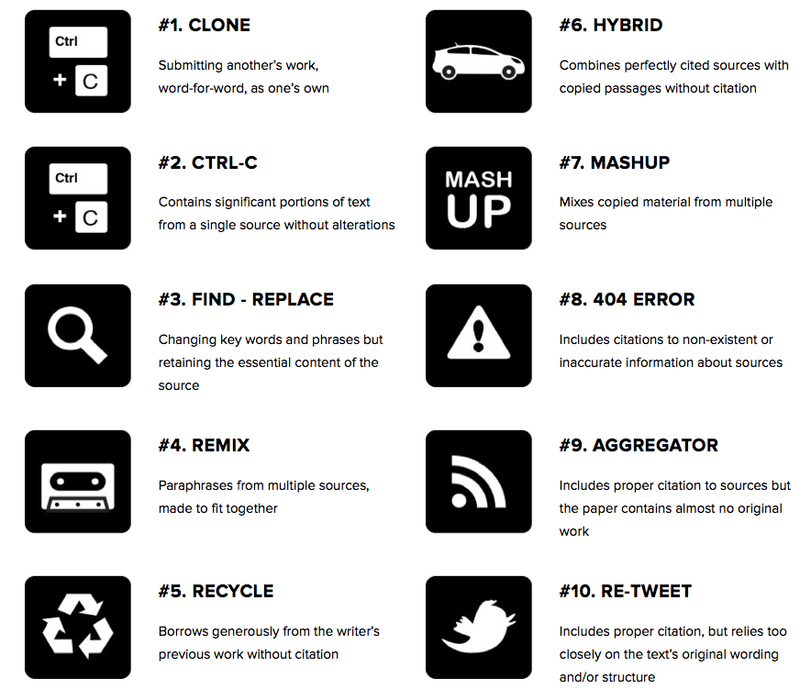 “Types of Plagiarism” Plagiarism.org. iParadigms, 2014. Web. 10 Apr. 2015.